The HR function contains personal information, skills, achievements and disciplinary details. eXert HRM software processing system automates the processes, speeds up the operations and handles large amount of data. The realm of Human Resource department is predominantly administrative and is prevalent in all corporate houses. . Payroll Management software processing system deals with salary related issues. It consists of several stages and procedures that require expertise in financial administration, such as salaries and tax management..
eXert HRM Is best in practice HR management service. It handles all HR related issues needed by an organization. 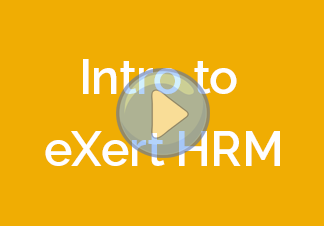 eXert HRM’s centralized storage means employee details can be easily maintained. 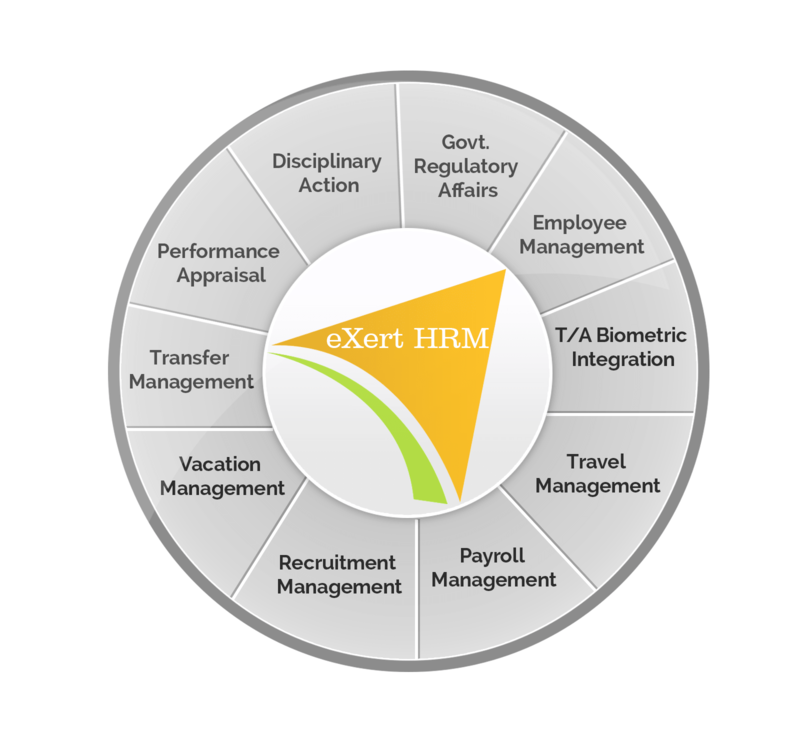 eXert HRM functionality handles details such as employee information, contact information, educational & professional profiles, skills, salary progression, vital details of driving license, visa, passport, work permit etc. eXert HRM provides Labor agreements and employer specific procedures and exceptions, thereby increasing efficiency. Breakdown of allowances and other bases for wages in the report. Follows the legislated accounting and calculation rules in calculating annual holidays. Manages drawing up, posting, archiving and reporting of travel details and its cost postings. Utilizes data related to working hours, overtime, allowances, holidays and absences. Application program Interface (API) to third party payroll independent databases. Biometric attendance integration to eXert Payroll. Employee vehicle movement integration via GPRS.